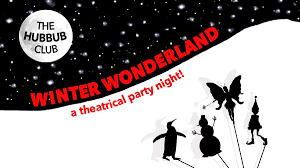 The Hubbub Club returns with a Winter Wonderland party! The Hubbub Club returns with the perfect party to celebrate this special time of year. Join them for interactive activities, seasonal performances from the company and special guests in a magical Winter Wonderland setting. Make sure you dress up in your best glittery outfits and seasonal finery to dance the afternoon away at our festive ball!